This is a self service independent Home managed by OYO. Our team will assist you during your stay. 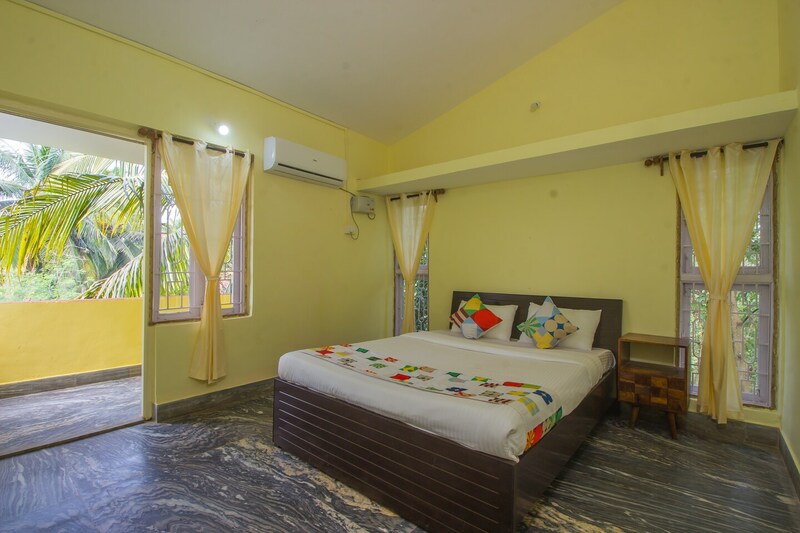 OYO Home 23712 Cozy 3BHK is a colourful and cosy property with large rooms and balconies, located in Regho Bagh, Goa. It is close to Aldeia de Goa Family Park, Our Lady of Belem Church, and St. Sebastian Cross. The property has a large living area with a big wooden TV unit and bright blue seating. It opens up to a large terrace. The kitchen is modern and well-lit. All the rooms are spacious, have bright yellow walls, and a mix of modern and traditional furniture. They have attached balconies. Each room here feature a TV, AC, and the property offers power backup and CCTV security too. The property is close to restaurants and cafes like Thirsty Bear, Chulha - Grand Hyatt, The Dining Room - Grand Hyatt, Pool Bar And Grill- Grand Hyatt and The Verandah - Grand Hyatt.